Product received for review purposes. All opinions are my own. As a parent of two girls, I have had years of frustration when it comes to gender roles and expectations. I want them to know that there are no limits for them, only stereotypes. Because of these stereotypes, many young girls are losing their interest in math and science as young as 8. That is just sad. So many of these girls are wired to be great engineers. As it stands, though, only 14% of engineers worldwide are woman. My Emma is the girly girl of my two. When it comes to playing with building toys, she just doesn’t. In her mind, those belong to Ethan. I’m not sure why because Emma is a very crafty, creative, great at things like puzzles and overall a very smart girl. So when I was offered the chance for her to experience GoldieBlox I gladly accepted. We were sent both the Parade Float and Dunk Tank kits. To be honest I hadn’t really looked deeply into the whole concept before receiving these. I decided to go ahead and dive in head first and let Emma choose our first project. She chose the Parade Float. The skills explored in this particular kit are wheel and axle, problem solving, spatial relationships, and basic building principles. We began to read the story together, which in itself is rather cute. On certain pages in the story (see the left page above) there are instructions for the next step of assembly. Immediately the tongue came out and concentration began. Our activities even caught Ethan’s attention. Before we knew it, my little ballerina/princess had assembled her first project… the Parade Float! We had planned on playing with the Dunk Tank another day, but the Parade Float excited Emma so much she begged to do it “NOW!”. Well, okay if you insist! The concept was the same with this project. There is a book/story that goes along with building the Dunk Tank. The skills explored in this kit include hinge and lever, problem solving, spatial relationships, and basic building principles. The building process takes some concentration, some ability to read/follow illustrated instructions and determination. There were a few steps that frustrated Emma, but in the end you get this. One proud little girl showing off her new dunk tank. I loved her reaction when I asked to take a photo. Her face shows “I built THIS!“. Oh, and dunking the dog is fun, too 😉 . I thoroughly enjoyed this time building and creating with Emma. I could see the confidence building. We started with grunts, wrinkled brows and “I can’t do this” and ended with “Don’t help me” and that adorably cute proud face. 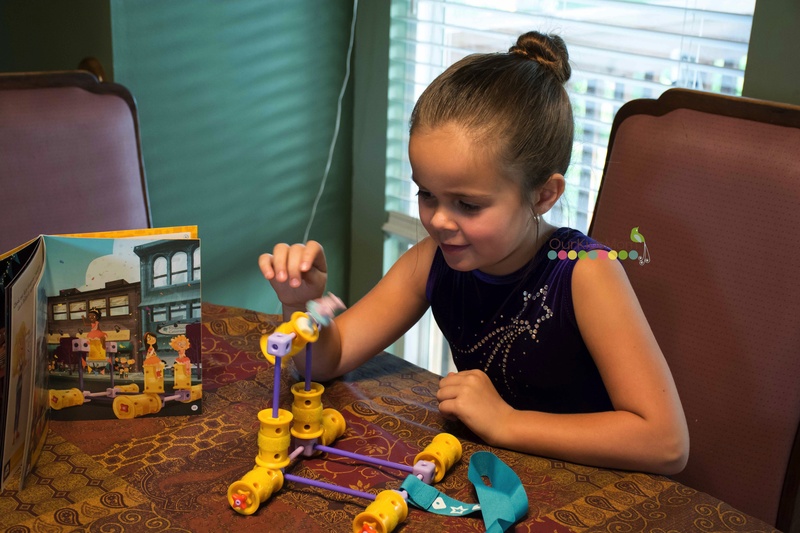 No wonder GoldieBlox has received so many awards including the Oppenheim Toy Portfolio Gold Award, Toy Insider Top Summer Toys, National Parenting Center’s Seal of Approval and the PAL award. I plan to use, create and expand on these building sets with Emma and include Ethan as well (who is already mathematically inclined). Unlike so many other building toys, all GoldieBox are inter-compatible, they fit together and can be used with almost anything to make almost anything. 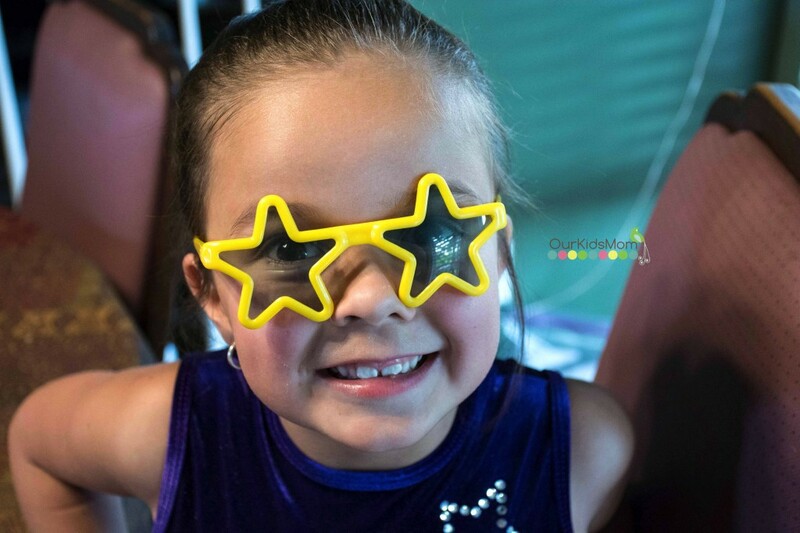 Think outside the box… things like pipe cleaners, cardboard, string, and ribbon. 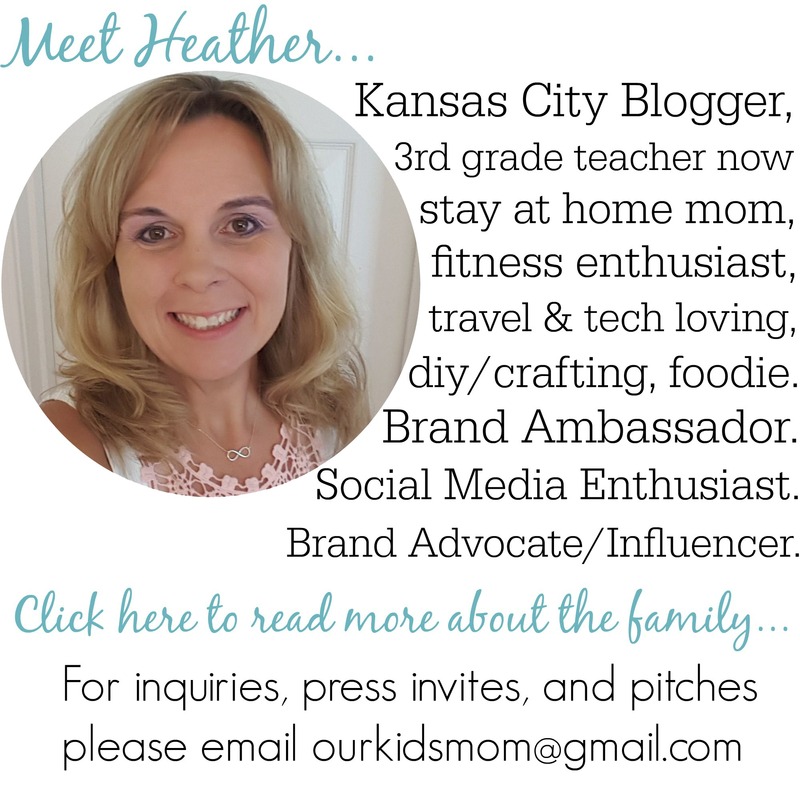 ONE OurKidsMom reader is going to win one Parade Float and one Dunk Tank toy! This giveaway ended at 11:59 PM EST on September 5, 2014. I love the video tutorials where girls show how to make things with Goldie Blocks. I want to get one of these sets for my niece for Christmas. Then we can watch the videos together and she can build stuff. I adore the more than just a princess shirt! I love the videos. They are a great learning tool! I like the More Than Just a Princess hoodie! I like the GoldieBlox and the Spinning Machine. 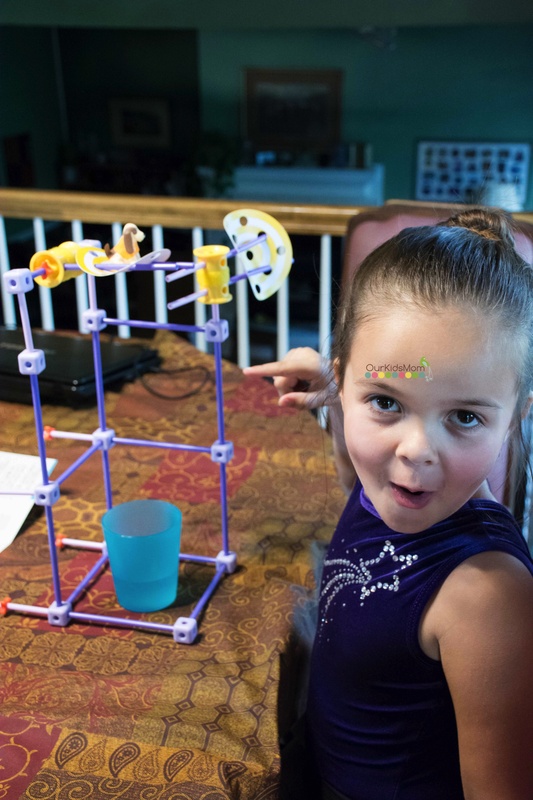 I learned that GoldieBlox is an Educational and People’s Choice Toy of the Year Award Winner. i like the more then a princess hoodie! 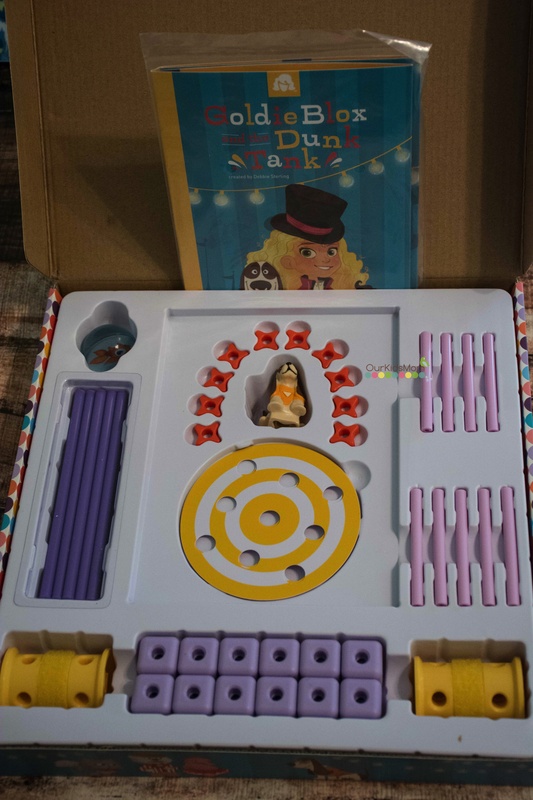 I learned that these toys are designed to help get girls building. I think this is great and unique toy for girls. i LOVE the more than just a princess shirts! these are such a great idea. i just played with ‘boys’ toys when i was little! they were so much more fun! 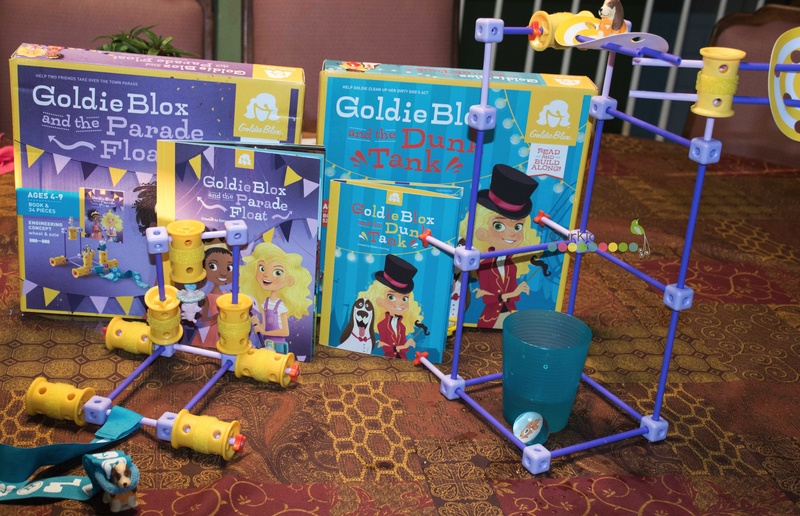 I like that the Goldi Blox was the winner of the Educational and Peoples Choice Toy of the Year! My son would like the spinning machine. I love that you can see what other kids invented and their ideas!! I also like their “more than just a princess” hoodie. This is interesting; having a building toy that goes along with a story. Good idea to help encourage reading. I Love the More than a Princess Hoodie in Red!! So adorable Love It!! Toys are so different and cute also.. I really liked the More Than Just a Princess Hoodie. Very cute for fall. Like the red color. I love Goldie Blox and the spinning machine. I like the “more than just a princess” hoodie. My girls would love the “More Than Just A Princess” tshirt! I also like the GoldieBlox and the Spinning Machine. I want the More Than Just a Princess tee for my daughter. Too cute! I like the GoldieBlox and the Parade Float. I love their products. I have not bought any yet but have seen them online. I plan to get some for the girls for Christmas. I love the Not just a Princess hoodie and that you can purchase the expansion pack for more creativity. I love this whole concept, such a cool idea! I love the spinning star kit and the “more than just a princess” hoodie! for 99.95 you can get all three sets, a shirt and the expansion pack! I think there are lots of cool items, but I think the princess hoodie would be very awesome. I like the Blox + Bits – Expansion Pack. I want the “More Than Just a Princess” hoodie. 🙂 Thank you. I like they offer a Blox + Bits – Expansion Pack. I didn’t realize they had clothes too, I love the More Than Just a Princess jumpsuit! I like the More Than Just A Princess hoodie. My daughter would love the parade float book. I love the more than a princess shirt, would be so cute for my daughter! I really like “More Than Just a Princess” Hoodie. It is so cute. I like the “More Than Just a Princess” Hoodie in the red color. I like seeing the different ideas girls came up with using their kits! I really like the whole concept behind Goldie box. I saw an interview with the creator over a year ago and loved her reasoning behind the development of the product. I love that it shows that not only boys can build. I also love the more than a princess shirt. I learned that females make up only 13% of engineers worldwide. I commend the teacher who inspired founder Debbie Sterling to pursue an academic program in engineering. I Like The GoldieBlox And The Spinning Machine! Need this for our two girls. 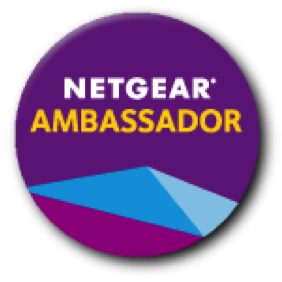 I like the idea behind their products- to inspire girls to build and be creative in a world where men outnumber women in the field of engineering, math and science. 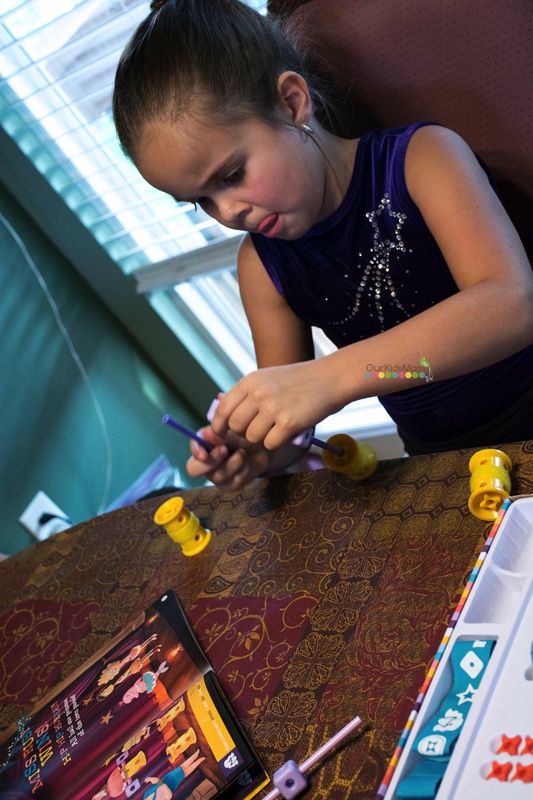 I would love to have the GoldieBlox and the Spinning Machine for my granddaughter. I learned : By designing a construction toy from the female perspective, we aim to disrupt the pink aisle and inspire the future generation of female engineers. I like the kids jersey. I like that all the pieces are compatible with each other. I would love to have the GoldieBlox and the Spinning Machine for my daughters! They would flip over having control over how there game is made! I love the video tutorials, my daughter would have a blast with this! I want the GoldieBlox and the Spinning Machine. I like the Nacho Spinner. I liked the solid goldie set and the more than just a princess shirt. I like GoldieBlox and the Parade Float. We also like the “More Than Just a Princess” Hoodie from Goldie Blox. 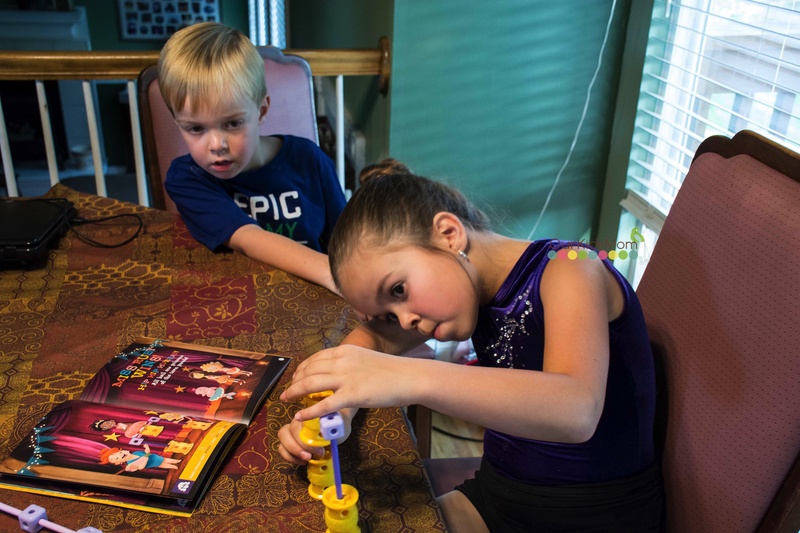 THeir toys are focused on tapping into the creative side of kids with their inventions. This is really neat – I love the solid Gold(ie) package. I love that these toys are created by girls and the fact that they have their picture next to each one is very cool and inspiring.Such an awesome company! These are great! and the sets can be expanded. It is nice to see girls building things. I like the more than just a princess snapsuit. I like the “more than just a princess” hoodie for my niece. I love the More Than Just A Princess Hoodie! So cute! 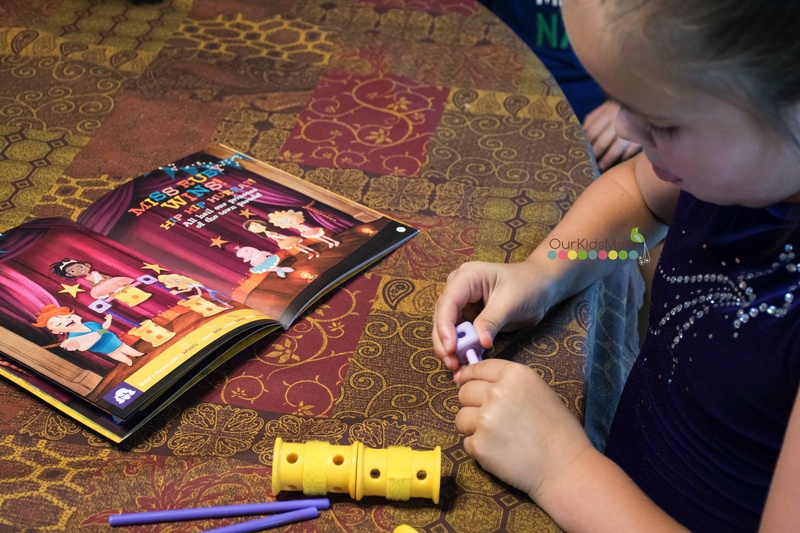 In a world where men largely outnumber women in science, technology, engineering and math…and girls lose interest in these subjects as early as age 8, GoldieBlox is determined to change the equation. I see this in my classromm all the time! I Learned that they offer a LOT of diferent pieces.. I would love to have the Launcher for my daughter who would love it. Oh! I love the princess hoodie. 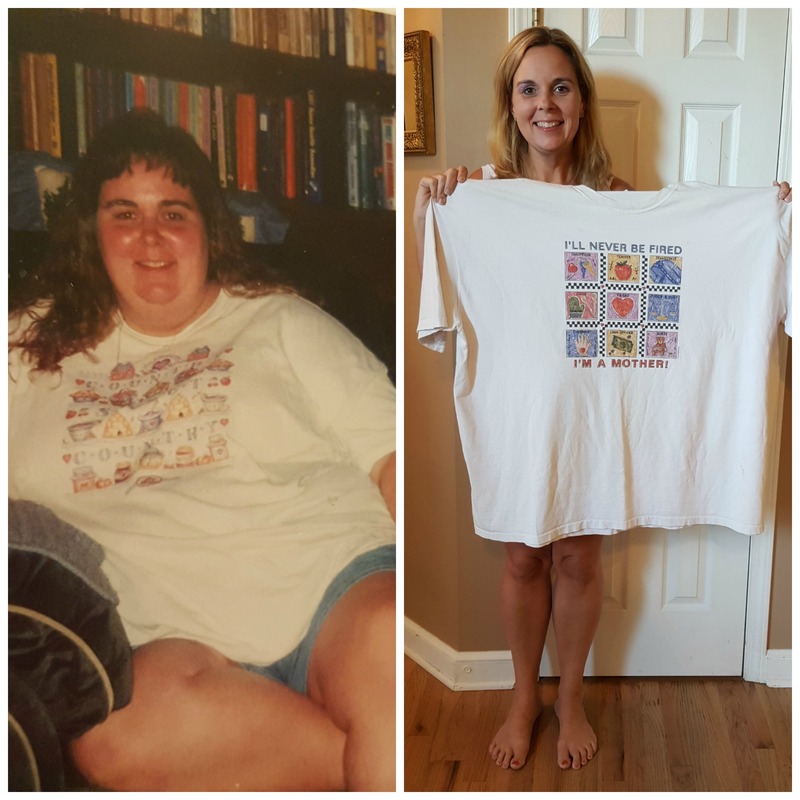 I like the “more than just a princess” t-shirt! What a great message for little girls! I like that their products are encouraging girls in to non traditional careers such as engineering. The spinning machine looks good. The whole “More than just a princess” philosophy piqued my interest, and the pre-sale toys look really fun! The GoldieBlox Zipline Action Figure. So cute and positive for my daughter! 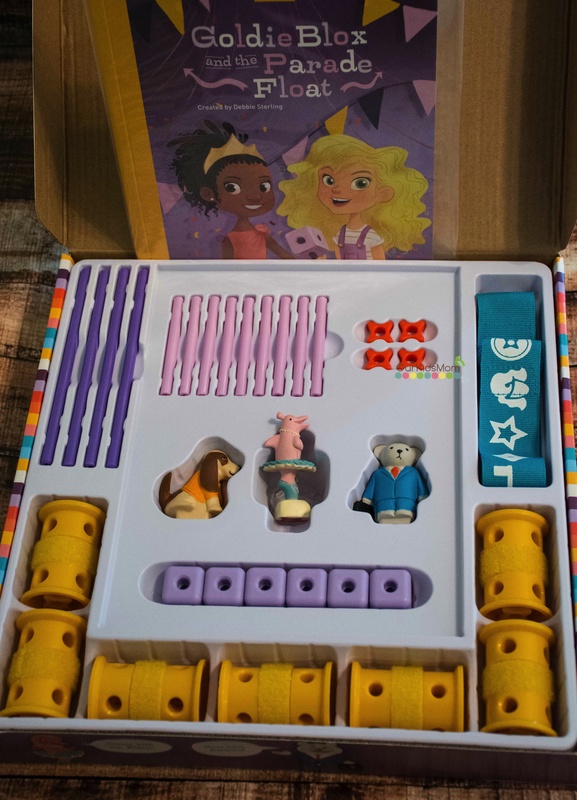 I found out that Debbie Sterling, the founder and CEO of GoldieBlox, graduated with a degree in Mechanical Engineering. The cloudmaking DIY looks like fun. Must try it with my kids. I love the more than just a princess hoodie! It would be great for my daughter during our fall beach walks. i am such a fan of the more than just a princess hoodie.